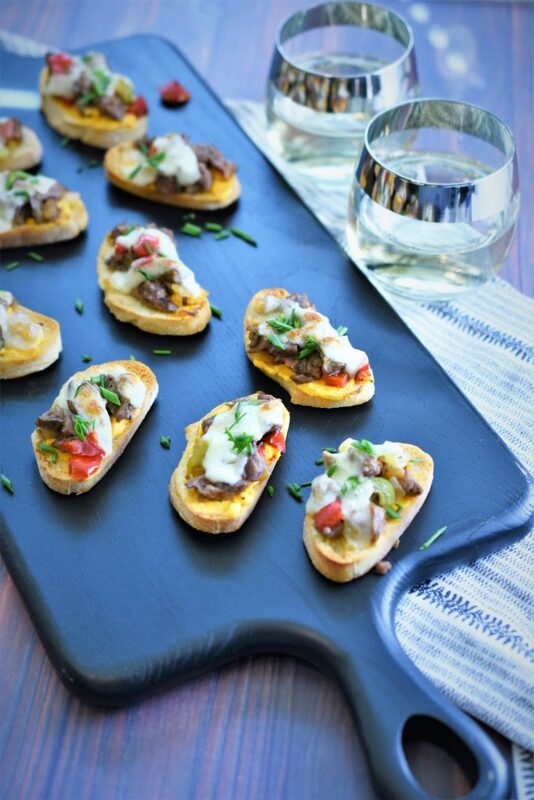 Philly Cheesesteak Bruschetta | Recipe For A Party | Life is a Party, So Celebrate! Comfort food comes in all shape, sizes and are from different cultures, regions, countries and states…so what do you eat when you are in Philadelphia? 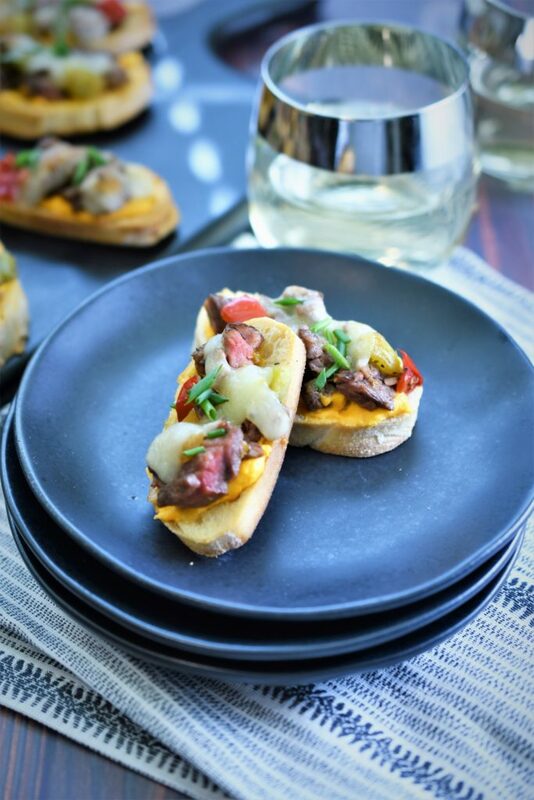 A cheesesteak of course…and you can have this famous sandwich that has been a Pennsylvania favorite since the 1930’s as a small bite with my new recipe for Philly Cheesesteak Bruschetta. 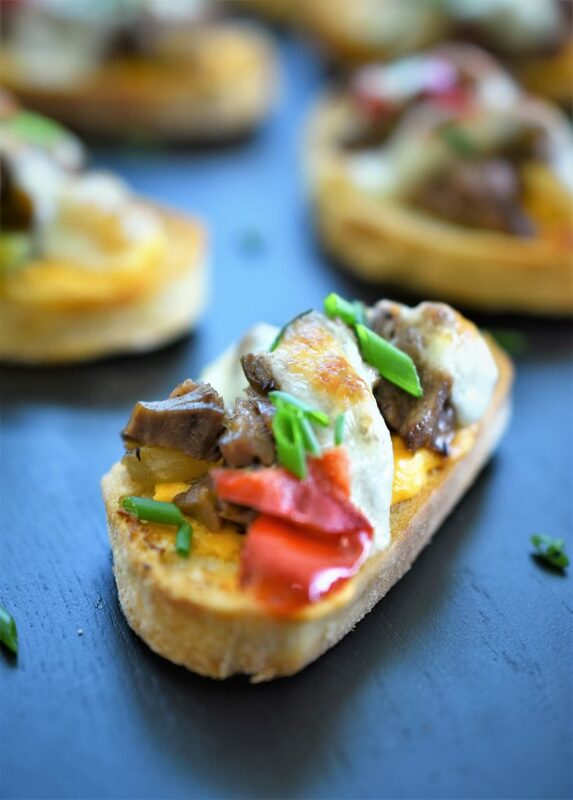 This crunchy bruschetta with juicy chopped steak with sautéed onions, peppers & melted cheese will have you bringing back memories of eating this classic hoagie sandwich over a paper lined basket with a beer. 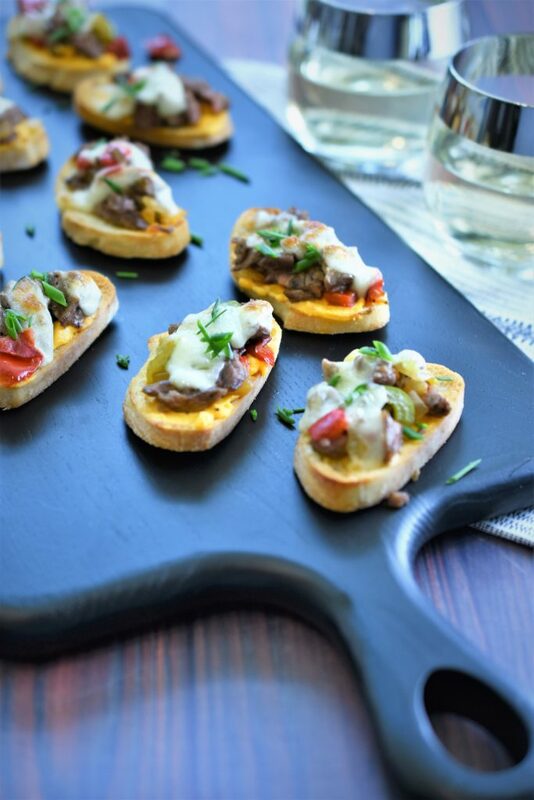 My small bite sized bruschetta version is just as good and is perfect for your cocktail party…even the sophisticated high heeled ladies will be able to enjoy this classic treat since it’s not so huge or messy. 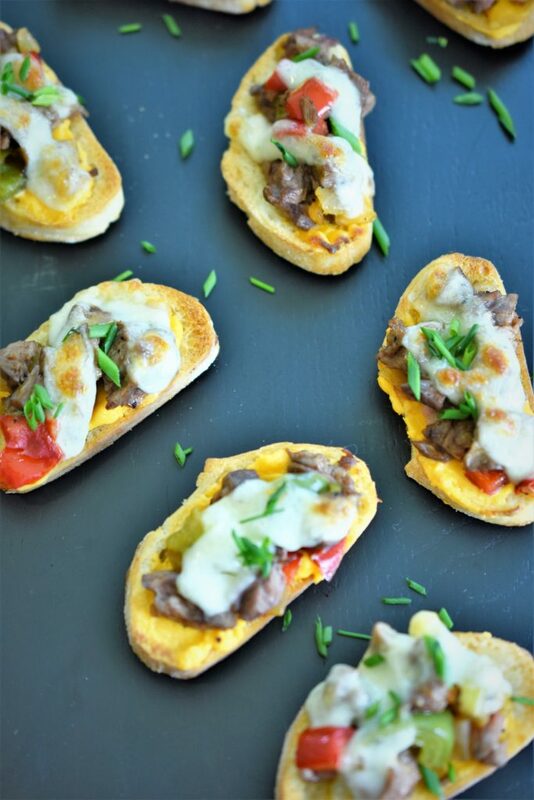 crunch, cheesy with peppers & steak…wow! 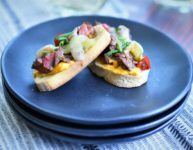 All the things you love about the classic hoagie in a small appetizer bruschetta…you don’t have to eat this one over the kitchen sink. In the same skillet, add the other 1 tablespoon olive oil, add the green, red bell peppers, pepperoncini, onion, ¼ teaspoon salt and ¼ teaspoon pepper and sauté until soft, 7 minutes, stirring occasionally. Take off heat to cool. My mouth was watering as I scrolled over your pix and the accompanying recipe, Joe. ….YUMMY !!! !